How do I install ADA Signs in my building? When you purchase ADA-Compliant Braille Signs from Office Sign Company, you can rest assured that your signage will pass compliance inspections. Our design & production teams have years of experience in producing compliant braille signage and always make sure to triple-check artwork & stay up-to-date with ADA rules and regulations. 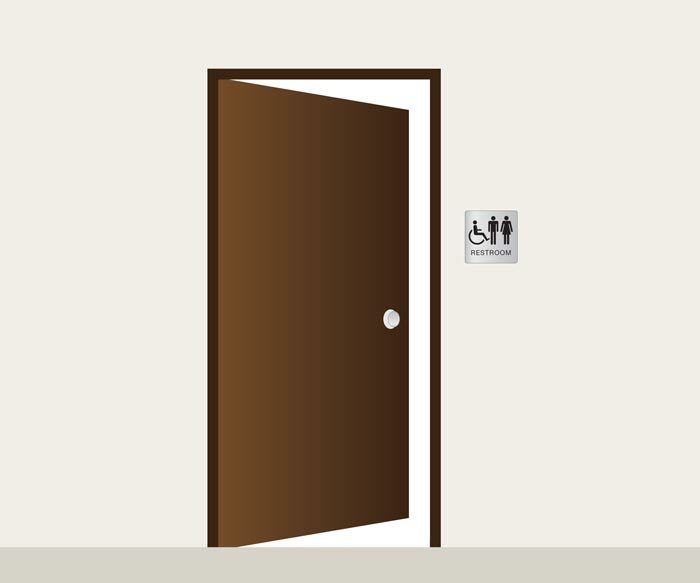 However, once a sign leaves our facility, it is up to the customer to make sure that the braille signs are mounted correctly to the doors, walls, or other surfaces. 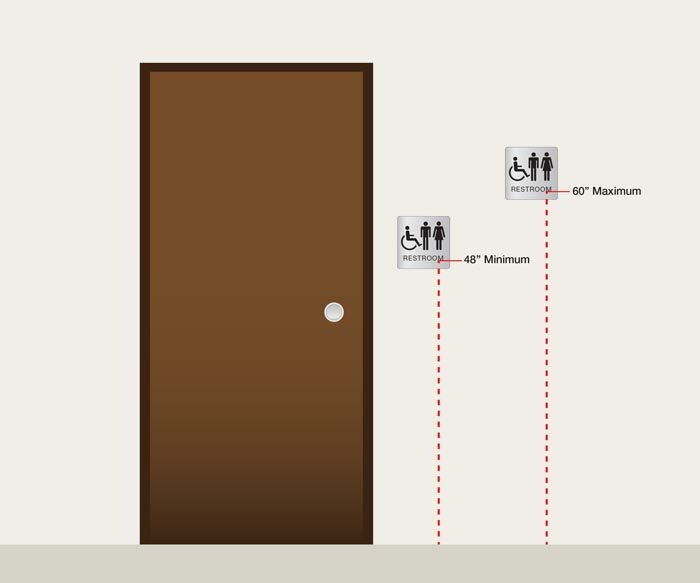 The images below should provide you with a solid idea of how to install ADA Braille Signs to ensure compliance. 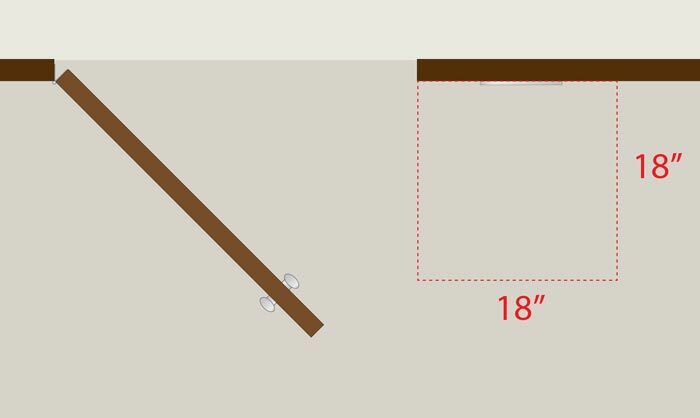 Determine the Height - How high do I Install my Sign? One of the most important factors for compliance is the height at which your sign is mounted. This is fairluy easy to comply with as long as you have a measuring tape. ADA regulations mandate that the baseline of the tactile copy (the bottom of the lowest line of tactile text) must be mounted between 48" and 60" from the ground. This ensures that signs of varying sizes are still mounted on the same visual plane. (Please note: this rule does not apply for elevator cars). 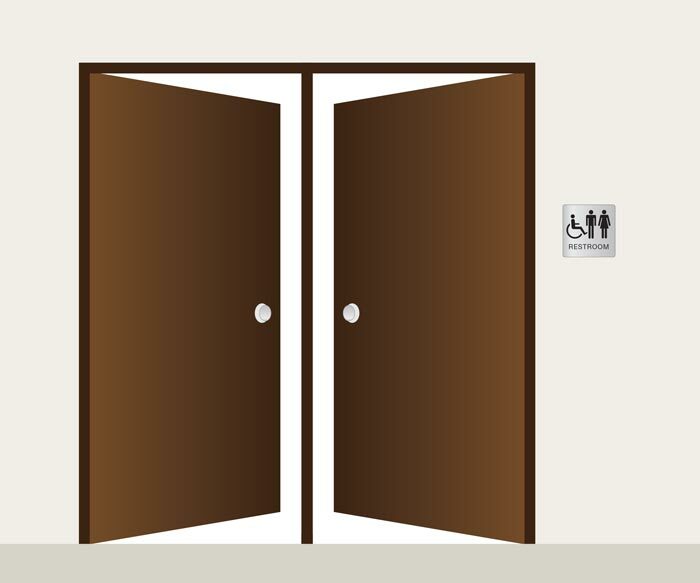 Make Sure You Have the Sign on the Correct Side of the Door - Which side of the door do I Insall my Braille Signs? For Single Doors: make sure that the sign is mounted on the wall on the latch side of the door (see above). Your ADA Braille Sign will not be compliant if it is mounted on the non-latch side of the door. For Double Doors with Two Active Leaves: make sure that the sign is mounted on the wall to the right of the right handed door. Your ADA Braille Sign will not be compliant if it is mounted on the left side of the door doors. For Double Doors with One Active Leaf: make sure that the sign is mounted on the inactive leaf. This is a change from the ordinary, as the sign will not be mounted on the wall in this circumstance. 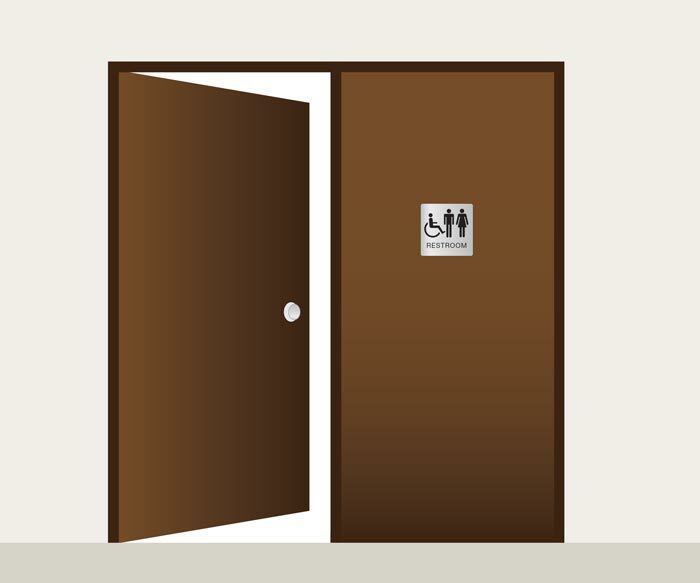 You will most commonly see signs being mounted on inward swinging doors in kitchens or restrooms. If you have any questions related to this, please contact our service team at service@officesigncompany.com. For Outward Swinging Doors (as depicted in the graphic above) a different set of rules apply. You may not mount signs to outward swinging doors and maintain compliance. Rather, the sign must be mounted to the wall outside of the arc of the door swing. The sign should be located within an 18"x18" square of clear floor space. This means that the compliant sign must be within a distance of 18" from the door, and 18" from the wall. If you have any questions regarding the steps or graphics that have been presented for installing ADA Braille Signs, please contact our team by emailing service@officesigncompany.com or calling 701-526-3835. We want to ensure that you get the most from the ADA office signs you order from our company, and are always able to help with questions related to ADA compliance.